Next we have to redo some of the UV Mapping, make sure the object is selected and go to Modify in the Command Panel on the right, find Unwrap UVW and apply it. Then we need to apply the UVW Xform modification and in the settings after applying hit the check mark for Flip next to the V Tile. 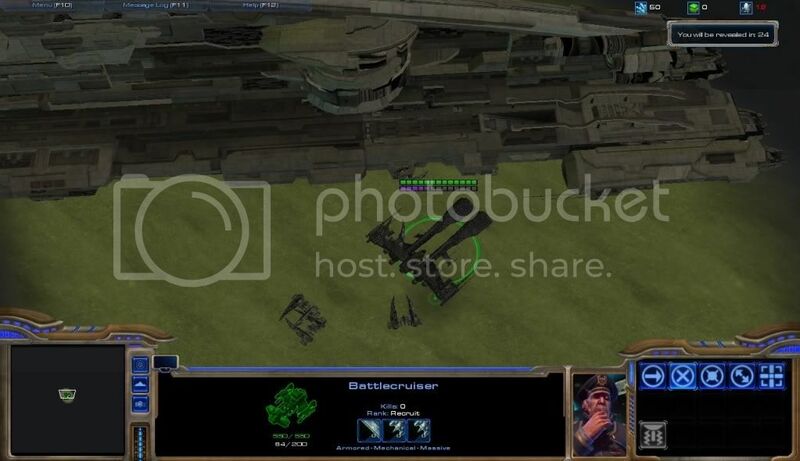 If you have gotten this far and don't know how to export it for Starcraft 2, then why are you doing this? Just read the documentation for the M3 Plugins for the moment. I will fill this out later when I convert this into a multi-stage video tutorial. At the moment this is a rather basic ship model, the only animations that need to be done is an Idle Animation. When importing this into Starcraft 2 I would copy a Terran Flying Ship Unit since these will take care of all the special banking and such not. While I agree that this is neat you should be careful with this. I suspect blizzard will be harder on use of copyrighted material in their maps now that they have more control over what is hosted. They are liable to be sued based on the content used unless they remove maps with copyrighted content from their servers upon request. Amazing man. I LOVED Eve and i was filled with tons of nostalgia and happiness when i saw this on the front page. Great job! I wouldn't worry much about that Beider. CCP has never been the kind of company that would intervene in something like map and model editing such as this. Every time I install the .dds plugin.. It never works for me.. I found the .dds plugin before i even saw this post.. Anyone else having problems with it? Do you have a 64bit OS? The problem is not a 64-bit OS, but rather a 64-bit version of Photoshop. Install the plugin in the 32-bit photoshop version's folder. Once you install photoshop, you should have both a 32-bit and 64-bit installation. EDIT: You will always need to run the 32-bit version to be able to open .dds files.